Ever since I spun the single I had been going back and forth about plying it…I finally did and wow, what a difference. 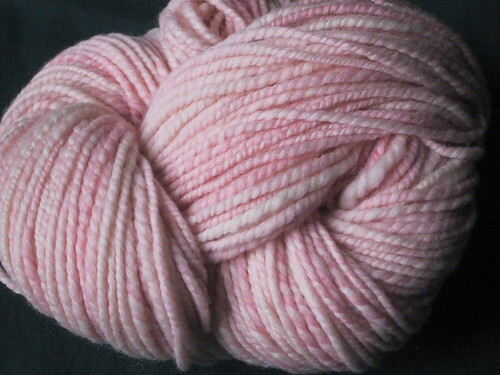 One of my favorite yarns ever. I’ve knit this from the pattern several times with no issues, and I haven’t heard back from anyone that the pattern is wonky, so I’ll go ahead and post the first version, the six-cable hat. When the eleven-cable (all-over) variation is complete I’ll post it at the end. (The earflaps are the same for both patterns.) The pattern assumes a general knowledge of knitting and cabling abbreviations…if you’d like a full PDF that contains explanations of the increases, decreases, and cabling instructions, click here. CO 6 stitches (on a DPN, if available). Cut yarn, leaving an 8” tail, and leave the flap on its DPN. Repeat for 2nd flap. K6, P2, K1, K2tog, K4, P2, K6, P2. At the end of the round, you should have 88 stitches on the needles. R32: K2tog around so that 6 sts remain, then pull yarn through remaining stitches with a tapestry needle. Pull end through to inside of hat, weave in, and trim. 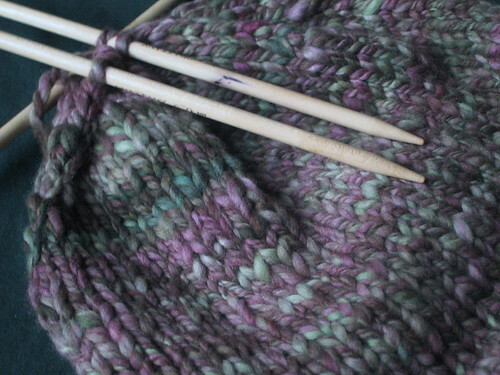 R34: K2tog around so that 6 sts remain, then pull yarn through remaining stitches with a tapestry needle. Pull end through to inside of hat, weave in, and trim. There are a few ways you can add straps — pick up 3-4 sts and knit in garter stitch or seed stitch until desired length. 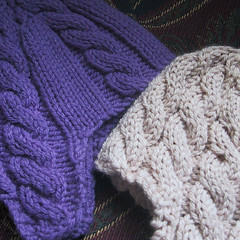 OR pick up 3-4 stitches and knit i-cord until desired length. OR, thread through three long pieces of yarn and braid the double-strands until desired length, then tie off and trim. Block and lay flat to dry. Holy cow, I’m in love. Stacee, right up your alley.